My First Official Bike Night! So, the weather yesterday was supposed to be rain and cold temperatures. What we ended up getting was nice warm weather and no rain. We are talking lows of near 60 and highs at 75. Perfect weather. So perfect, I didn’t believe the weather app I use (and is pretty good). I had to actually step outside to believe it. When I did, I went back inside, changes shoes, bag and got my riding jacket and rode into work. Ride in was fine, and while dark, it was decently warm. The ride home consisted of over an hour in traffic, even on River Road. That’s OK, because I was on Raven and was in a much better state of mind than if I had driven. 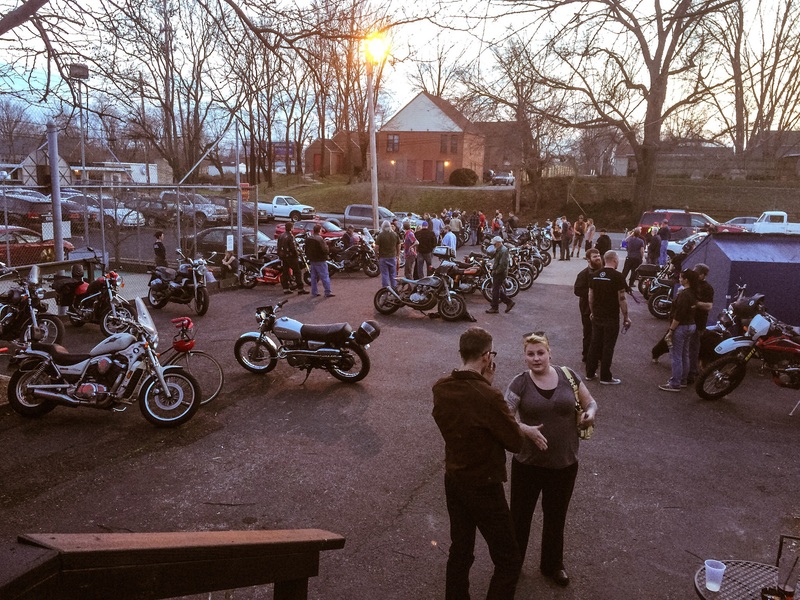 So, I ran home, dropped off the laptop and grabbed my lighter gloves and headed back into town to hit up the Louisville Vintage Motorworks Bike Night at the Barrett Bar. This marks my first official bike night with the bike being there. There must have been upwards of 75 bikes at the peak. Everything from custom-kludged bikes to scooters to brand new adventure bikes. Even a couple super-bikes. And my humble Raven got a lot of looks and questions, which I was happy to answer. A group of them really were interested in getting a serious look at it. One of them had been looking to buy one, but could not make the decision until he could find someone who had one to talk to. Someone who wasn’t a dealer, that is. So we talked at length about the quickness, overall speed, handling, sound (yep, turned her on and let her purr). He was very interested after we spoke, so who knows. 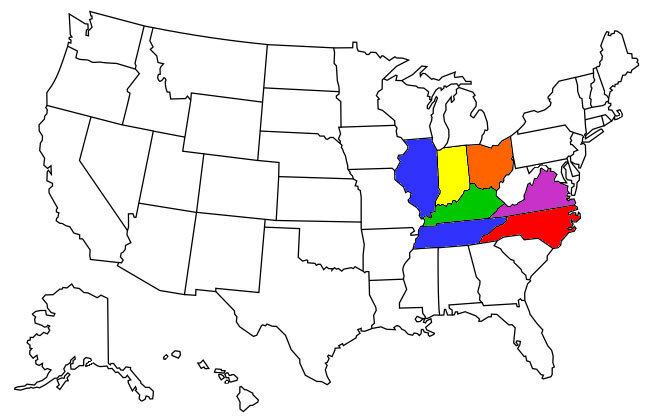 Maybe soon I wont be the only NC in the group. I really have to give the LouVin group credit. They were KEY in my decision to both finally get a motorcycle and to get the NC new. I am no mechanic, and when I said that, one spoke up and told me to buy a new bike and learn the basics, rather than inherit issues on a used one. Best advice I think I got. I am really hoping the weather get more stable so this can be a weekly thing. It was a lot of fun looking at all the different bikes and seeing and talking with all the different people. This entry was posted in Social Networking.